DARTMOOR Darts’ Hollie Steer claimed two senior titles at the opening weekend of the Devon County Swimming Championships at Plymouth’s Life Centre. The 17-year-old took victory in both the women’s 50m breaststroke and 200m IM. She clocked 32.79 seconds to win the sprint breaststroke event and 2:22.40 to ease to victory in the final of the individual medley. Mount Kelly 15-year-old Sophie Main was the star performer in the women’s 800m event. She won both the senior and junior titles with a time of 9:28.48, with fellow 15-year-old Emily Cornish, of Plymouth Leander, taking second. Plymouth Leander’s Henrique Mascarenchas was dominant in the men’s 800m event. The 18-year-old clocked 8:55.53 to finish 30 seconds ahead of his 15-year-old team-mate Ethan Philipson. Mascarenchas also took silver in the senior 200m IM. Dartmoor Darts’ British junior record holder Cameron Williams, 15, set a new county age group best time on his way to junior victory and third place overall in the 50m breaststroke. He clocked 29.54 seconds to claim another title. Only his coach and uncle, Matthew Henry, and Totnes’ 25-year-old Levis Veale went quicker on the day. Devonport Royal’s Aiden Symons-Brown claimed the junior title in the men’s 100m backstroke with a 1:01.62 swim. He also won silver in the 15-year-old boys’ 50m breaststroke event behind Williams. Among the other category gold medallists were Leander’s Finn Broekhoven, Samuel Ellis, Aslak Verela, Blythe Kinsman, Isobel Bryant, Panos Angelakis, Sophie De Groot, India Pears, Oliver Dennis, Freya Pearson, Luke Haywood, Freddie Ashley-Sparks and Ruby Griffiths, Mount Kelly’s Matilda Purnell, Angel-Skye Davenport, Jolly Petty, Jamie O’Connor, Matthew Hargreaves, Arun Oelkers, Millie Dixon, Emily Forwood, Holly Robinson and Seb Williams, Dinnaton’s Jasmine D’Cunha, Devonport’s Stanley Partridge and Dartmoor Darts’ Emily Morgan-Hughes. 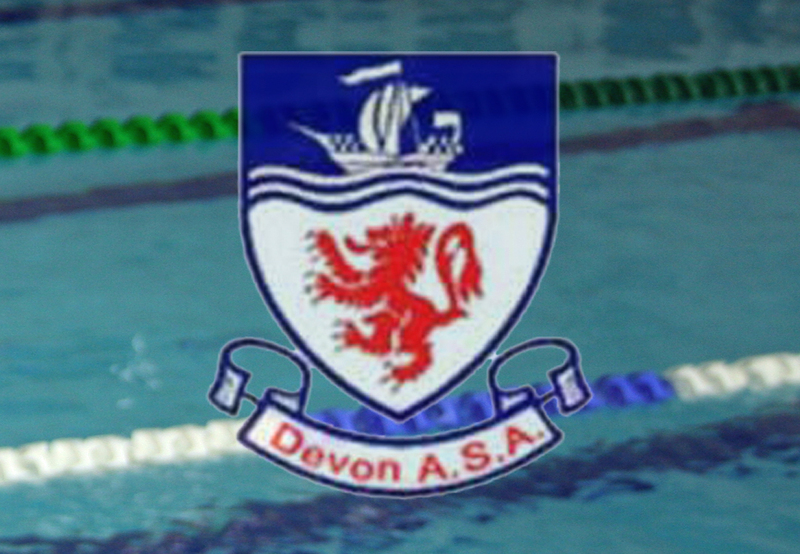 The Devon County Championships will continue this coming weekend at the Life Centre. Results of the first weekend can be found HERE.